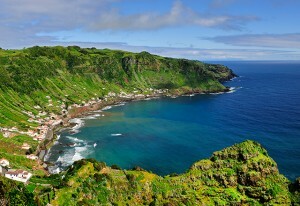 Be amazed by arriving at the unique natural setting of Velas Marina, sheltered by huge cliffs of 200 m. Discover the enchanting towns of Velas and Calheta and cross the thin (8 km) but steep island (300 m) to visit some of its more fabulous fajas (low tongues of lava at the bottom of steep volcanic cliffs), Cubres, Ouvidor and, especially, Santo Cristo, a unique natural lagoon ring-shaped, that is now becoming a surfing sanctuary. 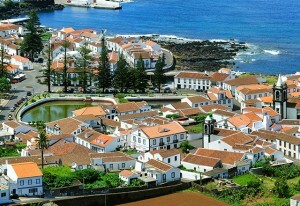 Must visit: Town of Velas; Fajã dos Cubres, Fajã do Ouvidor and Fajã de Santo Cristo. 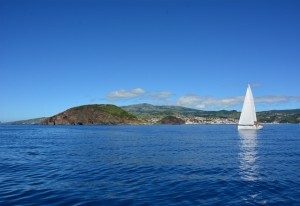 Enjoy a full sailing day, served along the marvelous North coast of S. Jorge Island, with its indented coastline shape, full of contrast between the central ridge which crosses the island lengthwise and the sharp and rocky coast, with its steep cliffs, which turns the landscape into a mixture of aggressiveness and calm beauty. 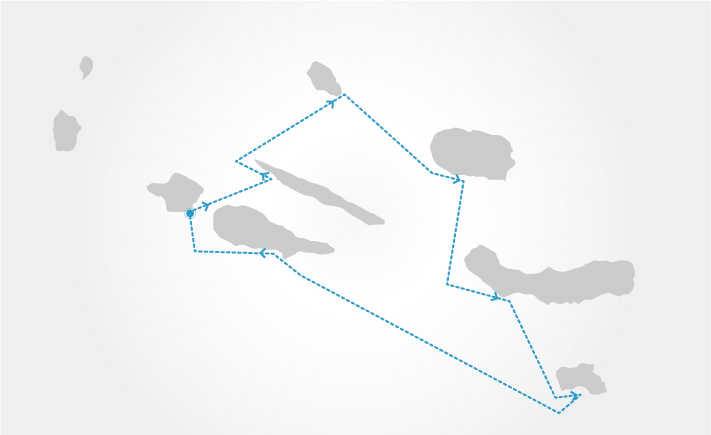 Classified by UNESCO as a Biosphere Reserve, the island of Graciosa is the second smallest of the archipelago and is ranked as an exceptional location for diving and fishing. The charming town of Santa Cruz with its typical windmills provides a unique glance. 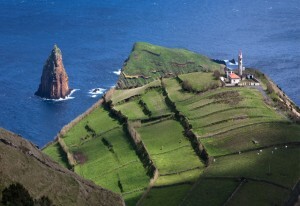 Caldeira da Graciosa and Furna do Enxofre, a splendid volcanic cave, are the most iconic natural attractions of the island. 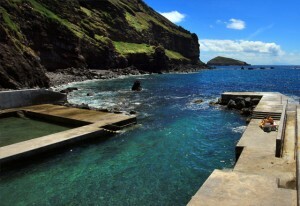 The well famous thermal water of Carapacho invites you to a therapeutic bath. 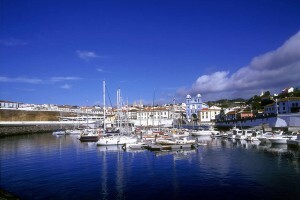 Must visit: Town of Santa Cruz; Caldeira da Graciosa; Furna do Enxofre. 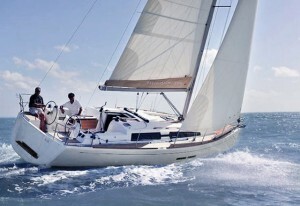 Another sailing day, another opportunity to observe and enjoy the presence of natural treasures like dolphins, turtles and, luckily, whales. 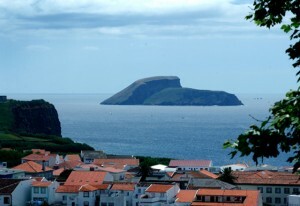 Graciosa is famous for its hospitality and traditions. 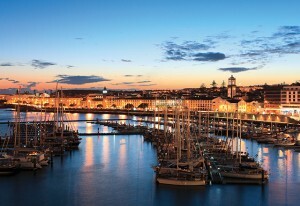 Once in Angra do Heroismo, get yourself lost in the immaculate and well preserved streets of one of the most historical cities of Portugal and a UNESCO World Heritage site. 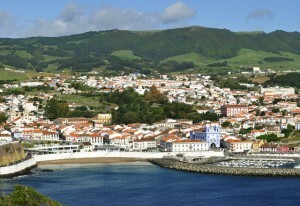 Still, Terceira does not end in the unique charm of Angra. You must drive along the green leaves of a truly stunning landscape towards Algar do Carvão caves, with its magnificent stalagmites, stalactites and a lake. 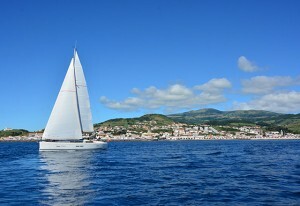 And by the way, Terceira is the land of joy and excitement in the Azores. If there is a traditional bullfight, on any of its many villages, don’t lose it, even if you are not fond of bulls and fights. It’s a local social event, full of regional flavors. 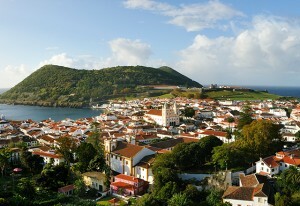 Must visit: UNESCO city of Angra do Heroismo; Algar do Carvão caves. 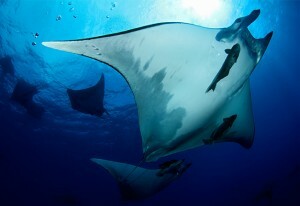 Enjoy another full sailing day and when the opportunity appears dive and swim with all the dolphins and turtles that you will find. 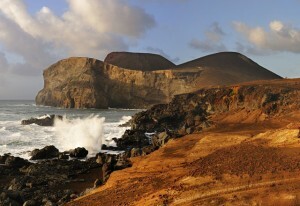 Must visit: Caldeira and Capelinhos Volcanos. 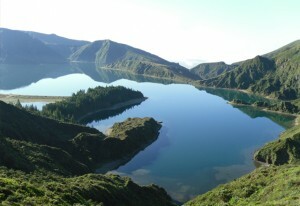 Known as the “Green Island”, São Miguel is the land of lakes lying down in volcanic craters and endless virgin forests. 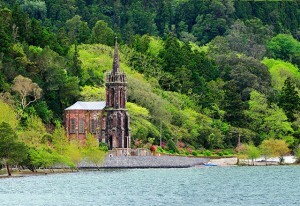 The most iconics one are Sete Cidades – a twin lake crossed by legends and myths – and Fogo, with its stunning views. 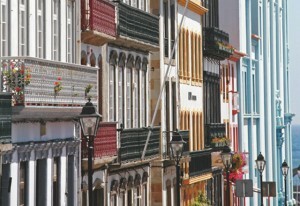 In Furnas valley you will submerse in thermal hot springs, fumaroles and carbonated waters. Lunch at Vila Franca do Campo, with a unique view to the gorgeous self-named Islet, full of endemic species. If you enjoy tea, don’t miss Gorreana and Porto Formoso tea factories, because they are the only places in Europe where tea is produced.Must visit: Sete Cidades Lake; Fogo Lake; Terra Nostra Garden; Vila Franca do Campo. 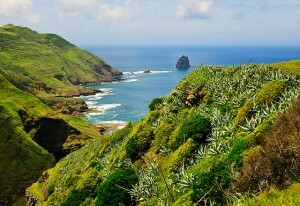 Leave Sao Miguel and head to Santa Maria, on a 8/10 hours trip that will take you to the southernmost tip of the Azores archipelago and to its driest climate. 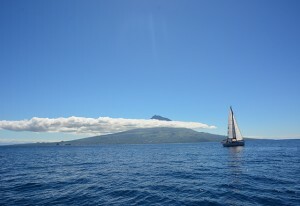 Santa Maria is the only non-volcanic island and enjoy the title “Sun Island”, given by a prevailing warm and dry climate. Visit Barreiro da Faneca, also known as “red desert” because of its scarlet clays formed by pyroclastic rocks and say Wow! 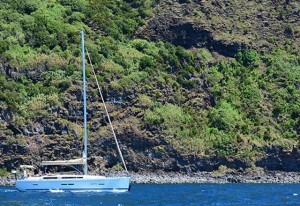 when visiting São Lourenço Bay, one of the most beautiful bays in the archipelago with its cliff side vineyards, typical houses and agricultural plots. 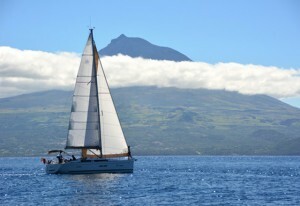 Say goodbye to Santa Maria Island and set sails to Pico Island. 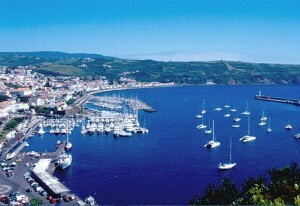 Must visit: Vila do Porto; São Lourenço Bay. Organize yourself. 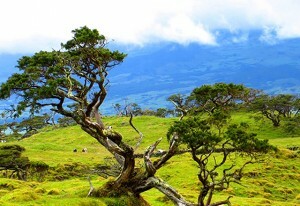 One day to visit Pico is the least you can do. 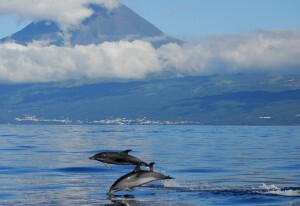 Start in heart of its ancient whaling culture, visiting the Whalemen’s Museum at Lajes do Pico and starting contouring the island along its coastline towards the unique Landscape of the Pico Island Vineyard Culture, a UNESCO World Heritage Site. 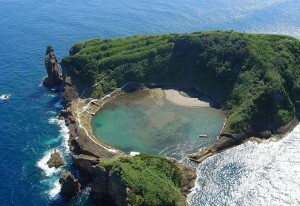 Continue through the coastline and you will be amazed by roughness of its magma setting. 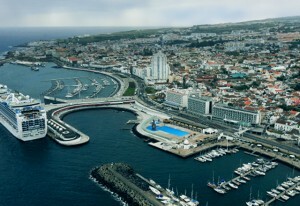 Once in São Roque do Pico visit the Whaling Industry Museum and start climbing the mountain back to Lajes do Pico, stopping at the altitude lagoons of Capitão and Caiado. 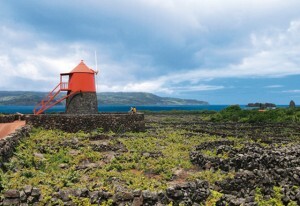 Must visit: Landscape of the Pico Island Vineyard Culture; Whalemen’s Museum at Lajes do Pico and Whaling Industry Museum at São Roque do Pico; Capitão and Caiado Lagoons. 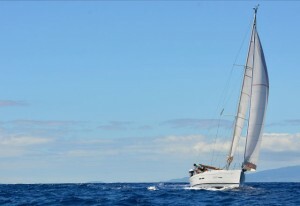 Arrive at Horta Marina and get yourself a well-deserved last night on board, along a mythical Gin at Peter’s Café Sport to celebrate a full week of sailing while travelling and discovering the wonderful Azores. 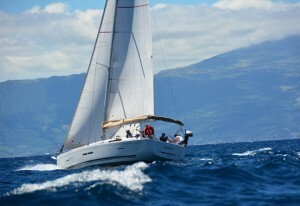 But don’t forget, Faial is not only about yachts, the Marina and Horta. 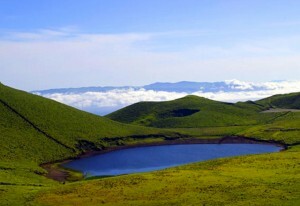 Don’t leave us before admiring the Caldeira Volcano, a deep crater of 2000 X 400 meters and Capelinhos Volcano, an almost lunar and arid landscaped of 3 square km conquered to the sea by more than 300 explosions and earthquakes in 1957. 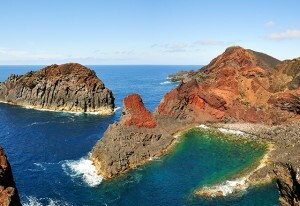 Must visit: Caldeira and Capelinhos Volcanos.